Reeves is my mum's maiden name and, at the moment, the stubbiest part of the tree. Unlike all the other branches, the Reeves' don't seem to have bred like rabbits so there just aren't as many names to latch onto! My mum, Wendy Reeves, was born on Valentine's Day 1967 - the youngest of five and a bit of a surprise; her mum initially thought she was starting the menopause! Apparently she was almost named Gayle, but my gramp intervened at the last moment and went for Wendy instead. Michael (Mike) John Reeves, b. 1951. Mike has two sons - Christopher (b. 1970) and Dale (b. 1974) Reeves. Hazel Carol Reeves, b. 1955. Hazel is one of the few members of the family to leave Cwmbran; she emigrated to Australia with her first husband and son, Lee (b. 1971), in the 1980s. Patricia Tomlinson (Mike's wife), Jane, Wendy, Hazel Reeves - 1978. Tony William Reeves, b. 1963. Tony married Anthea Richards in has two children; Lori (b. 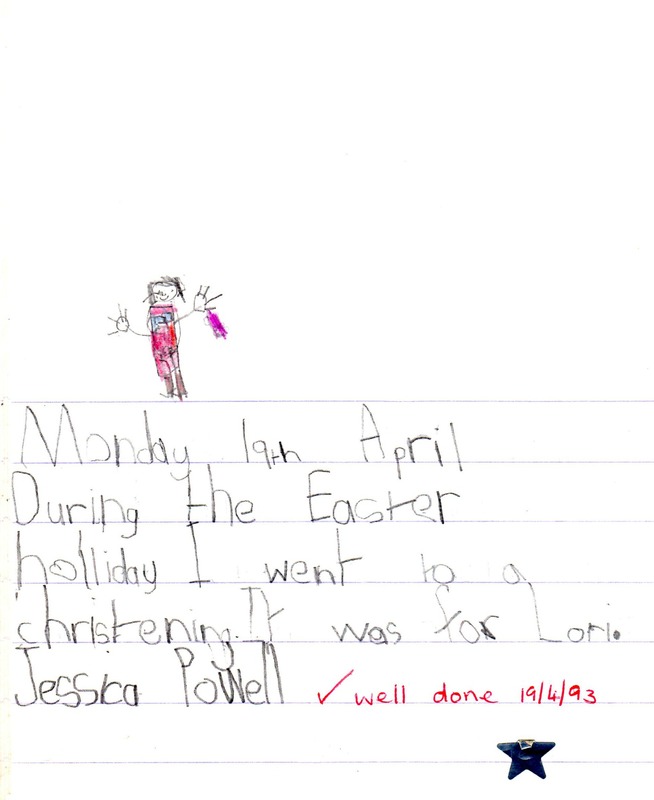 1992 - my tale of going to her Christening narrowly missed out on making the 'Now I Am 5' post) and Tom (b. 1996). My nan and gramp, Iris May Edwards and William Alfred John Reeves, were born in 1931 and 1930 respectively. They married in 1950 and initially lived with Iris' mother, before moving to a cottage in Croesyceiliog which was really only fit for demolition. When that finally happened, they moved on to Hanbury Close on the then new Northville estate - it was so new that most of the houses were still unfinished and there wasn't even any paving laid. My nan died ten years ago now, in 2006. Check out the groovy wallpaper c. 1970! Me, my Mum, John and Iris Reeves, c. 1990. My gramp - known as Bill to his workmates but John to everyone else, just to be confusing! - is still crazy active; he has a way better social life than the rest of us. He is also the one who passed on the love of loud patterns and lots of decoration: one of my mum's favourite family stories is the time he wallpapered the living room as a surprise for my nan in bright, flowery paper. My nan, horrified, waited until he left the house for a night shift, then worked into the early hours to take it all back off again! Elizabeth May Reeves, b. 1925. May married Walter Whittington in 1948 and a year later they had a daughter, Yvonne. Alice Dorothy Reeves, b. 1927. Alice married Reginald Breen in 1946, and the couple went on to have a number of children, including Christine (b. 1947), and Robert (b. 1949). John Henry Reeves, 1890 - 1898. 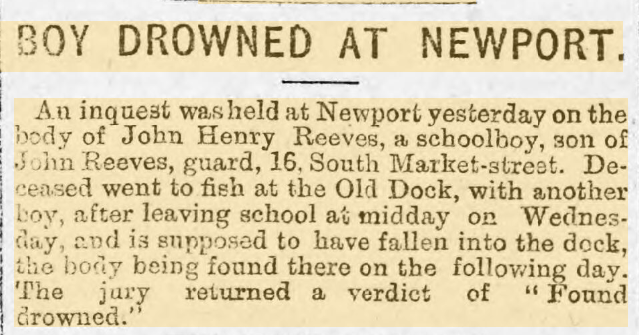 John Jnr drowned in Newport docks on Wednesday 22nd June 1898; his body was found the following day. When I found his death date I imagined he would have caught one of the innumerable fatal illnesses of the time, so it shocked me to find the newspaper reports. John attended Bolt Street Board School from 01/12/1896 until his death. South Wales Echo, June 24th 1898. They followed up the next day. Llewellyn James Reeves, 12/10/1891 - ? Llewellyn attended Bolt Street Board School from 22/08/1898 to 14/03/1903, when the family moved to Maindee for a short time. William Alfred Reeves, 27/09/1894 - 1945. 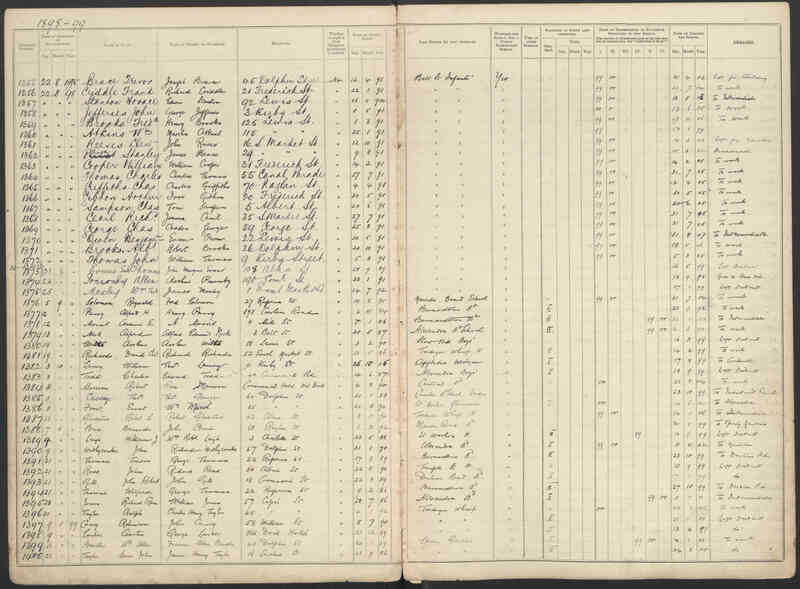 William attended Bolt Street Board School from 19/08/1901 to 08/05/1903, and again from 24/07/1905 until 28/08/1908 when the school records list him as leaving for work, having achieved Standard III. Thomas Charles Reeves, 07/02/1896 - 1957. Thomas attended Bolt Street Board School from 01/09/1902 to 08/05/1903 (when they left for Maindee), and then again from 24/071905 until 11/02/1910, having achieved Standard I. He then volunteered at the outbreak of WW1 and served in the infantry. He married Margaret Louisa Gibbs in 1921 - she was a younger sister of my great grandmother. Walter John Henry Reeves, 20/06/1898 - 1963. Walter attended Bolt Street Board School from 1905 until 20/06/1912. 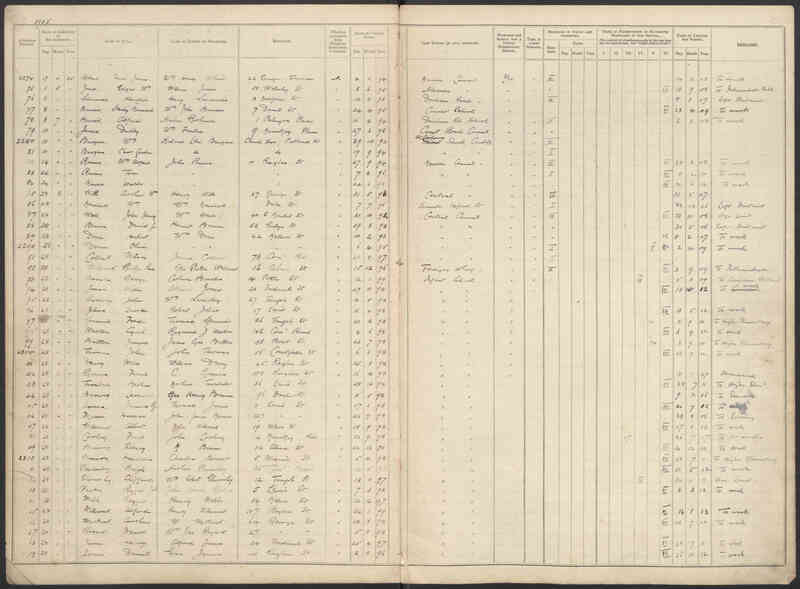 He later served as an ordinary seaman in the Royal Navy during WW1, and their records list his DOB as 1896 - I think he probably added a couple of years to his age to enlist. Caroline Maud Reeves, 1903 - 1950. Caroline married Albert Williams in 1923. Percival 'Percy' Albert Reeves, 1909 - 1968. He married Cecilia Mary Lloyd in 1933. Their father, John Reeves, was born in Shrewsbury in 1864, and married Elizabeth ? in 1889, a native of Glastonbury. 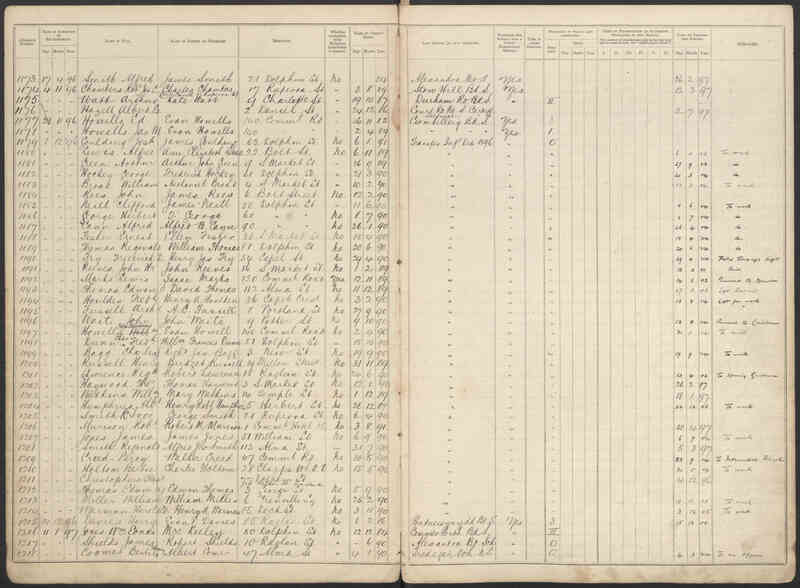 Once in Newport the family moved around a lot: The 1891 census finds the couple and their lodger, Sidney Jones, living at #2 Jaymes (sp?) Buildings in Newport. In 1901 the family had moved to #16 South Market Street, where John was still working as a railway guard. 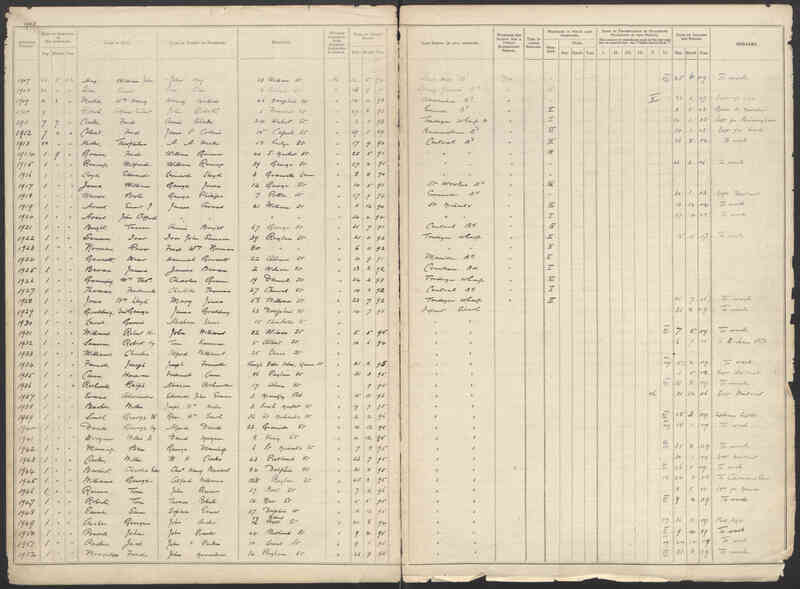 In 1902 school admissions logs list them at #37 Bolt Street, then at #10 Raglan Street in 1905. By 1911 they had moved again to #45 South Market Street, and John was now working as a river wharf labourer. 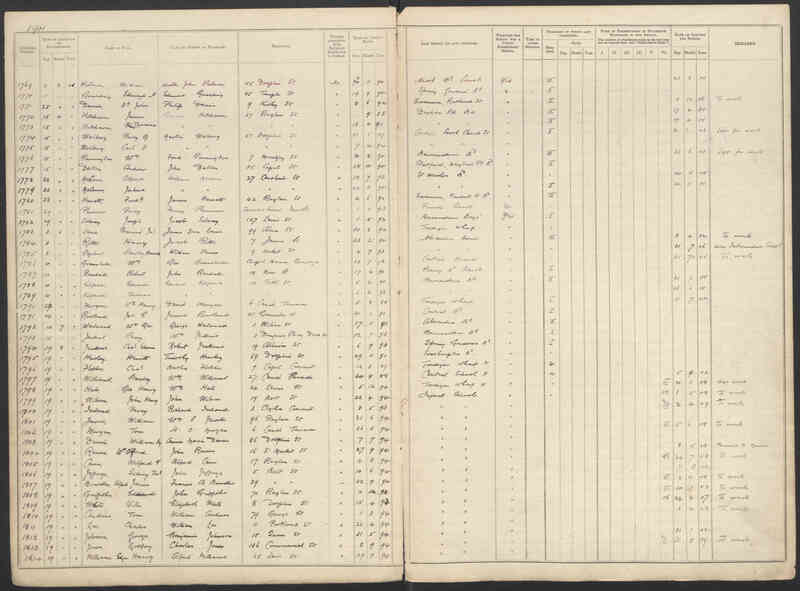 Three of his sons - Llewellyn, Alfred, and Thomas - were also listed as dock labourers. In the 1914 Newport Street Directory John is listed as a brick layer. South Market Street was close to the docks, and had exactly the kind of reputation you're imagining. It was constantly in the newspapers as the site of fights, disturbances and general anti-social behaviour. My favourite report is that of Ellen Hurley, described as a 'woman with a baby in her arms' who, nevertheless, managed to smash a glass over Robert Morgan's head and put him in hospital!